Arbuscular mycorrhizal fungi (AMF) are obligate plant root symbionts delivering a range of benefits to the host plant such as improved nutrient acquisition and resistance to pathogens and abiotic stress. However, whether they can enhance the function of plant root systems damaged due to subsidence caused by excessive coal mining has not been well explored. In the present study, we investigated the effects of AMF using Funneliformis mosseae (FM) as the test fungus on maize (Zea mays L.) growth and hormone levels under different levels of root damage stress by simulating mining subsidence. The results show that plants treated with FM had more shoots, roots, mycorrhizal colonization and higher hyphal density than those without FM under the same simulated mining-induced subsidence conditions. In addition, plants treated with FM also possessed higher N, P, K, Ca, and Mg contents in the shoots and the roots and higher indole-3-acetic acid, gibberellin (GA), and cytokinin (CTK) contents in the roots, indicating that the mycorrhizal association promoted plant biomass and nutrient uptake. FM treatment was no longer beneficial when root damage due to mining-induced subsidence affected more than half of the roots. Soil SOC, AK, and TG were identified as key factors affecting GA, CTK, IAA, and ABA, and AMF can alter plant hormones directly via the hyphae and indirectly by altering soil physicochemical properties under root damage stress. Overall, our results provide baseline data for assessing the biological reclamation effects of AMF on coal mining-induced subsidence. We thank Dr. Peter Christie for a final revision of the manuscript. The State Key Research Development Program of China (Grant No. 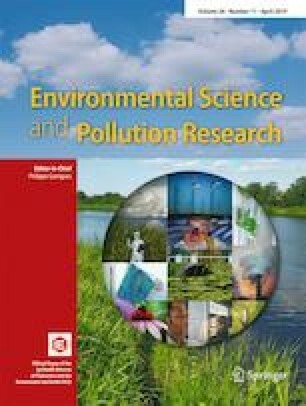 2016YFC0501106) and the National Natural Science Foundation of China (Project 51574253) funded this study.